Dr. Gewanter accepts the following list of insurance providers. Select your insurance provider to see more details. I am a radiation oncologist who sees patients at Memorial Sloan Kettering Nassau, on Long Island. I also see patients at Memorial Hospital in Manhattan. I treat a wide variety of cancer types, including prostate cancer, bladder cancer, lung cancer, and breast cancer. I have been practicing for 14 years. I was drawn to a career in radiation oncology while I was in medical school. I was impressed by how radiation oncologists combined biology, technology, and imaging to deliver targeted treatment for people with cancer. At the same time, I felt a calling to this field because of the opportunity to counsel and guide people through one of the most difficult periods in their lives. As the field of radiation oncology has advanced, I have found it truly gratifying to be able to deliver more effective treatments with fewer side effects. These advances — such as stereotactic radiosurgery and stereotactic body radiation —allow us to greatly reduce treatment times. Patients used to spend eight to nine weeks on a typical radiation course, but with the latest technologies, they can now often complete their treatments in three to five days. People who come for their first radiation appointment are often fearful, as there can be many unknowns: How will treatment affect quality of life? How will it affect loved ones? They also want to feel confident that they are making the right treatment choices but often feel overwhelmed by the information available on the internet, or from well-meaning friends. I try to help my patients understand all options. If we as a patient-clinician team decide radiation is the best option, I explain how we will achieve their treatment goals. I make it a priority to develop a bond of trust from the beginning so that my patients can feel confident and reassured. 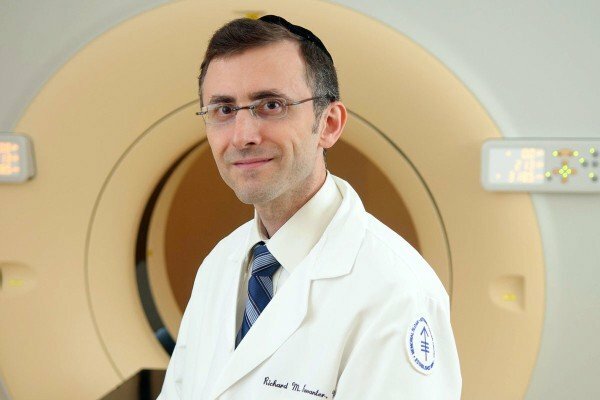 In addition to my clinical work, I am a member of the prostate cancer research team in MSK’s Department of Radiation Oncology. I have also served as an expert panel member on the American College of Radiology’s Appropriateness Criteria Committee for Lung Cancer. I make it a priority to develop a bond of trust from the beginning so that my patients can feel confident and reassured. Visit PubMed for a full listing of Dr. Gewanter’s journal articles. Pubmed is an online index of research papers and other articles from the US National Library of Medicine and the National Institutes of Health.